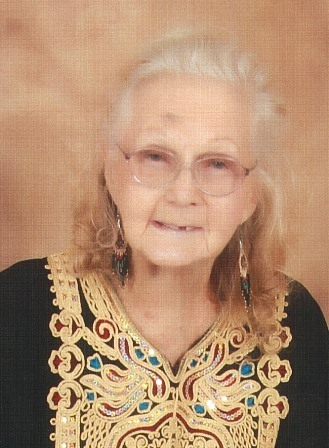 Geraldine Grace Swartz, age 91 of Murphy, NC passed away Sunday, February 10, 2019 at PruittHealth –Town Center in Harrisburg, NC. She was born in Crow, West Virginal to the late William and Bertha Boley Redden. Geraldine was an insurance agent for Independent Life and also worked several years for the Social Security Office. She was an ordained minister with the Church of the Science of Minds. Geraldine traveled extensively. She was a member of the Alcohol Anonymous for 47 years and attended the Church of the Science of Minds in Blairsville, GA. In addition to her parents she was preceded in death by her husband, Cleo W. Swartz; and four brothers and five sisters. She is survived by three sons, Jerry Carpenter of Ocala, FL, Merle Radford of Concord, NC and Franklin Radford of Ft. Myers, FL; one sister, Marie Oaks of Shady Springs, WV; six grandchildren and six great-grandchildren. A memorial service will be held at 2 pm, Saturday, February 16, 2019 at the Townson-Rose Funeral Home Chapel in Murphy. In lieu of flowers donations may be made from the AA members only can be made to: Alcohol Anonymous, 444 Hill Street, Murphy, NC 28906.